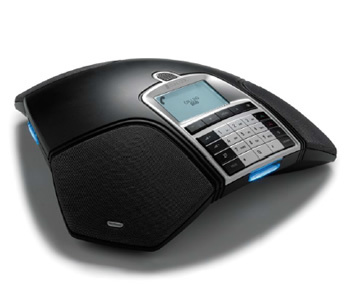 This feature rich conference phone comes with all of Konftels standard features as well as a PA interface , or wireless headset port. Analogue or IP options. Konftel 300 is packed with many smart features and designed for flexible performance. Record your conversations on SD memory cards, while the line mode allows you to switch between and combine three connectivity technologies — analog, cell phones and USB. The conference guide helps you make multiparty calls and save call groups, which is very useful if you make regular calls to the same group. T he Konftel 300 is also ideal in larger contexts as you have the option of adding expansion microphones, a wireless headset and a PA system too. It goes without saying that the Konftel 300 delivers ultimate sound quality, based on a brand new generation of OmniSound® HD, Konftel’s crystal clear audio technology. Last, but not least — the Konftel 300 has an intriguing Scandinavian design that enhances any conference table.